The admission by Israeli Prime Minister Benjamin Netanyahu that the point of the proposed “Israel nation-state law” is to “thwart efforts to flood Israel with Palestinian refugees” has once again shown up the astounding hypocrisy of all major US-based Jewish Supremacist and Israel-supporting organizations, which demand that America accept all refugees. The proposed Israeli nation-state bill—which, contrary to some internet-based rumors, has not yet become law and will only serve before the Israeli parliament during the coming week—was given the go-ahead for submission to the Knesset at last weekend’s Israeli government cabinet meeting. 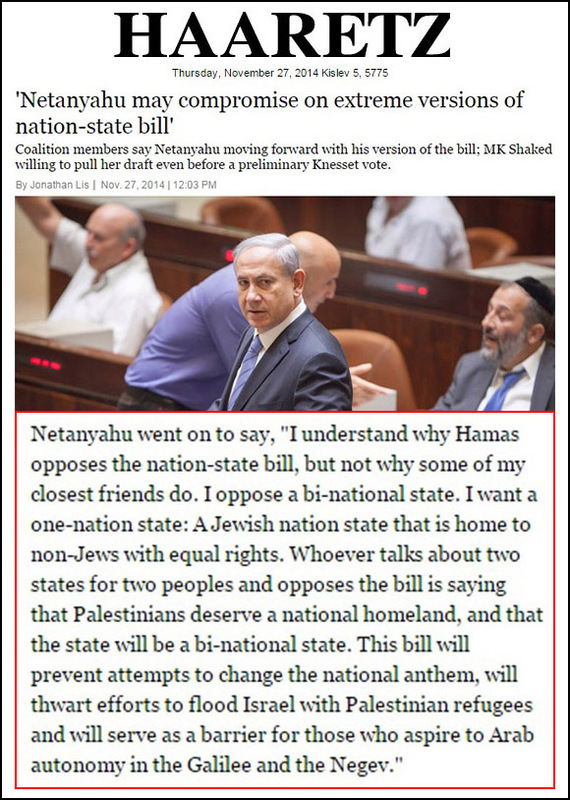 This bill will prevent attempts to change the national anthem, will thwart efforts to flood Israel with Palestinian refugees and will serve as a barrier for those who aspire to Arab autonomy in the Galilee and the Negev. Meanwhile, in America, all the major Jewish organizations—all of which fanatically support Israel—demand that the US accepts all refugees! 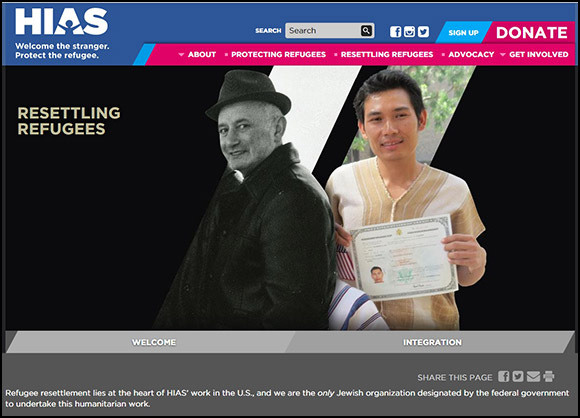 The leading Jewish organization in this regard is the Hebrew Immigrant Aid Society, or HIAS, which is devoted full-time to bringing refugees in to America. 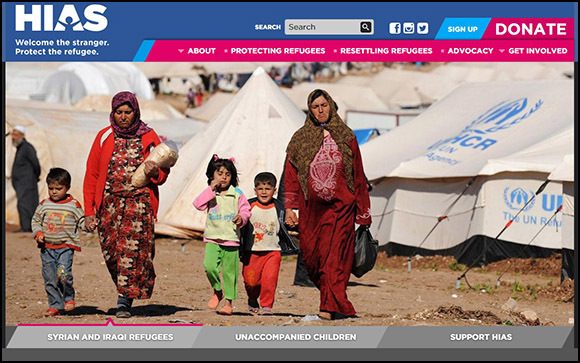 Refugee resettlement lies at the heart of HIAS’ work in the U.S., and we are the only Jewish organization designated by the federal government to undertake this humanitarian work. As the oldest resettlement organization in the world, HIAS has seen time and again that when refugees are provided with a welcoming environment and adequate support, they can be tremendous assets to their neighborhoods and societies, boosting local economies, and excelling at entrepreneurship. This is especially true in the U.S., where starting over offers not just safety but promise and opportunity. Following resettlement, HIAS supports both refugees and host communities around the U.S. to ensure successful integration. Although this can be a long process requiring the participation of many actors, refugees bring the resilience and resourcefulness that saved their lives at home. 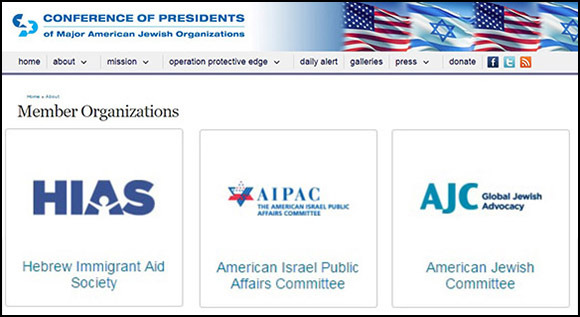 The HIAS is a proud member of the Conference of Presidents of Major American Jewish Organizations, and is listed along with all the other official Jewish organizations which declare their unflagging support for Israel. These Jewish Supremacists do not skip a beat in proclaiming their hypocrisy to the world: In America, they say, refugees are good for the country because they “bring the resilience and resourcefulness that saved their lives at home”—but in Israel, according to their own government, refugees “threaten to flood” the Jewish state. The Jewish Supremacists know very well that if Israel will cease to exist if it is subjected to an endless flood of non-Jewish immigrants and refugees. So why then do they demand that the US accept a never-ending stream of immigrants and refugees? There can only be one explanation: they know that accepting “refugees” will weaken and divide America—after all, that is why they do not allow Israel to have a “refugee” policy. This tactic forms part of their ongoing divide and conquer strategy to destroy America so that attention is always diverted away from their activities, their racism, their control of the organs of government, media and finance. It is the old story: one law for the Jewish Supremacists, another rule for the hated Goyim. Monzer Zimmo: Palestinian recognition of Israel, a Jewish state – Why?